Could you imagine a more dynamic city in which to study the art of cooking or restaurant management? 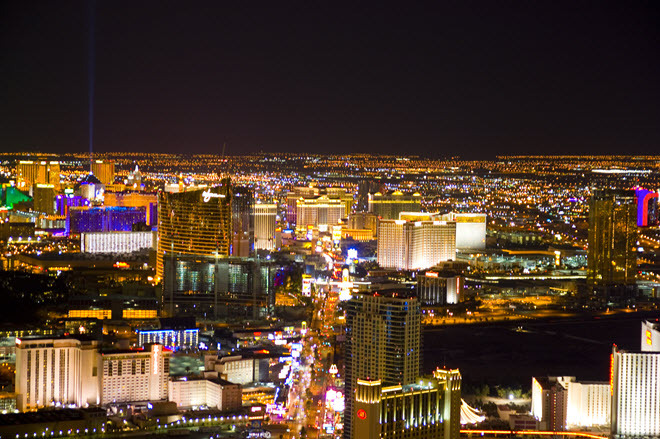 Las Vegas is home to some of the most magnificent casino resorts and restaurants in the world. If there is any city that has an ongoing demand for talented and passionate chefs, pastry chefs and restaurant managers, it’s Las Vegas. Expect that the culinary schools you find in Vegas emphasize dynamism and passion—characteristics you’d have to possess to succeed locally. Besides world famous restaurants you have the unrivalled opportunity to explore the culinary work of award-winning Executive Chefs, the pros that direct much of local cuisine. Chefs Todd English, Michael Mina, Philip Lo, and Andre Rochat are just a few of the outstanding Executive Chefs and Chef/Owners pinned to the Las Vegas culinary world. Explore the Las Vegas cooking schools. You’ll learn the skills you need to get a good entry-level job in a kitchen or restaurant as chef or management pro. Two great reasons to consider this school: first the uncompromising Le Cordon Bleu program and the backdrop of Las Vegas. The classic French Le Cordon Bleu school serves as the curriculum model: learn classic French culinary techniques, traditional American methods and various international cuisine essentials. This foundation prepares you to build upward with your own individual creativity and vision. Choose from the Associate of Occupational Science Degree in Le Cordon Bleu Culinary Arts or the Certificate in Le Cordon Bleu Patisserie and Baking. Near the completion of each you receive intensive job placement assistance including help with resumes and proper interviewing techniques. This incredibly popular program is located in various metro areas throughout the country, each with its slightly unique take on the regional culinary scene. Here in the Las Vegas program you can expect to find a competitive curriculum focused on training chefs and pastry chefs to think and act dynamically and with unwavering creative vision. Face it the program draws on the level of professional talent in the surrounding city—which is world-class again and again. Choose from the following degree programs: Associate of Science degrees in Culinary Arts or Baking and Pastry; and Bachelor of Science in Culinary Management or Food and Beverage Management.